The Sun has been around since life has existed, is perhaps the oldest thing known to mankind and will continue to be omnipresent for years to come. In large sections of our society, we worship the Sun as it is considered holy and powerful. It belongs to everyone equally and is the ultimate source of energy. Our pioneering online marketplace platform, together with strong engineering and technology infrastructure, delivers end-to-end solutions for all your solar needs. From helping you understand the need, to clarifying your doubts, to assisting you buy and setup the system, and all the way to maintaining it, we are here for you. We provide you an unbiased and personalized Solar Score, a reflection of your solarization potential and its financial benefits. The process of buying a solar system can be quite complicated. There is no easy and transparent way to find, evaluate and select service providers and/or financing options. MYSUN ensures that you have a high quality experience designed just for you. This includes advanced site assessment services and competitive quotes from our list of pre-screened solar solution providers. Our well-researched quality standards ensure that the products installed are highly reliable. Come and Rediscover the Sun with us . MYSUN team is a well-balanced combination of highly experienced and skilled professionals from the solar industry, corporate finance sector and beyond. Each member brings specific expertise to the board and together we feel, as an enthusiastic team, we have what it takes to lead the charge of Solarizing India. Hemant is a Managing Partner at General Catalyst, based out of the Silicon Valley. He has spent the last decade partnering with great entrepreneurs to build transformational technology companies including Stripe, Fundbox, Snapchat, Gridco Systems, Livongo Health, Zenpayroll and Class Dojo. He is also a co-founder and Chairman of Advanced Energy Economy and board member of Khan Academy. Prior to joining General Catalyst, he was founder and CEO of a mobile applications company that was acquired in 2001. Hemant is a graduate of the Massachusetts Institute of Technology, earning an M.S. in Operations Research, an M.Eng. in Electrical Engineering & Computer Science, a B.S. in Mathematics, a B.S. in Electrical Engineering & Computer Science, and a B.S. in Biology & Biomedical Engineering. Gagan is the Founder and Chief Executive Officer at MYSUN. Prior to this, he has been Managing Director and CEO at Sunborne Energy, an Independent Power Producer and EPC company in solar energy. Gagan founded the solar downstream business of Moser Baer in 2007. Prior to that, he worked in the automotive industry with such organisations as Delphi Corporation and Hero Honda. With over two decades of experience in areas including operations, supply chain, cost management, business development, capital markets and M&A, Gagan is an alumnus of National Institute of Technology, Kurukshetra. He is an active long distance runner, plays lawn-tennis, enjoys his guitar and loves experimenting with his culinary skills for family and friends. Gyan Prakash is a Co-Founder at MYSUN. He has more than 18 years of experience in solar system engineering, design, monitoring and analytics. Gyan has worked on more than 200 roof-top and ground mounted solar systems in India, Germany, Czech Rep, France and South Africa. His areas of expertise include selection of technology and equipment, energy prediction, design and cost optimization, etc. Gyan is an Electrical Engineer with Post Diploma in Renewable Energy from IERT, Allahabad. He loves listening light music and reading theological books. Born in 1949 Hartwig´s enthusiasm in science and technology emerged already in his school days. At the University of Kiel in Germany he graduated with a Ph.D. degree in Physics with specialization in Astrophysics and Space and additional focus on Mathematics and philosophical backgrounds of science. After his academic career he got encompassing practical experience in Industry and Markets. In this respect he gained his first experience in engineering - in the beginning phase of renewable energy systems development in Germany already in the early 1980ies. From 1984 to 1997 he took positions in marketing and management in multinational semiconductor companies. While in charge of electronic components as European marketing director of Sharp he took the chance to introduce their solar cells and modules also in the European market. From 1997 he focused completely on solar energy, at first as an independent consultant. 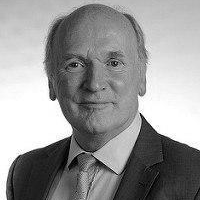 In 2001 he started his company SunEnergy Europe GmbH as a wholesales and project company. Over more than a decade his enterprise expanded fast while he realized a large number of pioneering projects in Germany, Spain, Italy and other European countries. In 2013 he was honored with the German Renewables Award for his life achievement. Now, in 2017, he handed his company over to a project partner of the early years, thereby ensuring future continuity for the team while at the same time redefining the company direction which now includes activity for electric mobility - thus generating a new role in a challenging market phase in Europe. Hartwig is now mainly engaged in new developments of self-use solar systems for direct applications and at the same time applies his broad experience in renewables as consultant in international markets. Dr. Yogi Goswami is a Distinguished University Professor and Director of the Clean Energy Research Center at the University of South Florida. Professor Goswami is the Editor-in- Chief of the Solar Energy journal, and Progress in Solar Energy. He has published as an author or editor 20 books and more than 400 refereed technical papers. He also holds 19 patents, some of which have been successfully commercialized. A recognized leader in professional scientific and technical societies, Prof. Goswami has served as a Governor of ASME-International (2003-2006), President of the International Solar Energy Society (ISES, 2004-2005), Senior Vice President of ASME (2000-2003) and President of the International Association for Solar Energy Education (IASEE, 2000-2002). He is a recipient of the Farrington Daniels Award and Karl Boer medal of merit for solar energy from ISES, Frank Kreith Energy award and medal from ASME, John Yellott Award for Solar Energy from ASME and the Charles Greely Abbott award and Hoyt Clark Hottel award of the ASES, and more than 50 awards and certificates from major engineering and scientific societies for his work in renewable energy. 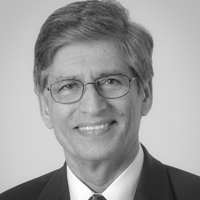 Dr. Goswami is a Life Fellow of ASHRAE, ASME, ASES and ISES and a Fellow of American Association for Advancement of Science (AAAS). He is also a Fellow of the National Academy of Inventors and a member of the Pan American Academy of Engineers. Mr. Subodh Bhargava holds a Degree in Mechanical Engineering from IIT(Roorkee). He started his career with Balmer Lawrie & Co., Kolkata before Mr. Subodh Bhargava holds a Degree in Mechanical Engineering from IIT (Roorkee). He started his career with Balmer Lawrie & Co., Kolkata before joining the Eicher group of companies in Delhi in 1975. On March 31, 2000, he retired as the Group Chairman and Chief Executive and is now the Chairman Emeritus, Eicher group. He is the past President of the Confederation of Indian Industry (CII) and the Association of Indian Automobile Manufacturers; and the Vice President of the Tractor Manufacturers Association. Over several years, he was a key spokesperson for Indian industry, contributing to and influencing government policy while simultaneously working with industry to evolve new responses to the changing environment. He was a member of the Insurance Tariff Advisory Committee, the Economic Development Board of the government of Rajasthan. He was also the chairman of the National Accreditation Board for Certifying Bodies (NABCB) under the aegis of the Quality Council of India (QCI). 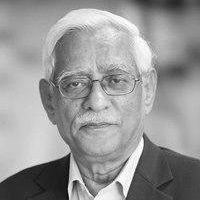 Mr. Bhargava has been closely associated with technical and management education in India. He was the Chairman of the Board of Apprenticeship Training and Member of the Board of Governors of IIT Roorkee ,The Indian Institute of Foreign Trade, New Delhi; Indian Institute of Management, Indore ; Indian Institute of Management , Lucknow; and the Entrepreneurship Development Institute of India, Ahmedabad. Mr. Subodh Bhargava is a trustee on various government/ semi government and charitable organizations and is also on the Board of Governors of Indian Institute of Management Kashipur and other Institutions for Graduate Engineering and Bachelor’s and Master’s Degree programmes in Business Management. He has been conferred with the Distinguished Alumnus Award by Indian Institute of Technology, Roorkee and by Agra University. Mr. Subodh Bhargava is a Director on the Board of following Companies: Batliboi Limited., Larsen & Toubro Limited., SunBorne Energy Holdings LLC., Nicco Parks & Resorts Limited., International Institute of CSR Foundation., Indian Institute of Technology, Mandi Mr. Subodh Bhargava is also a Chairman/member of the Committee of Directors in following Companies: Batliboi Ltd. – Member - Audit Committee & Nomination and Remuneration Committee, Larsen & Toubro Limited. – Chairman – Nomination and Remuneration Committee. Mr Subidh Bhargava is also the Chairman of the board at GSK Consumer Healthcare. Mr Bhargava was the Chairman of Tata Communications until March 31, 2017.